Everyone is always looking for ways to make money. 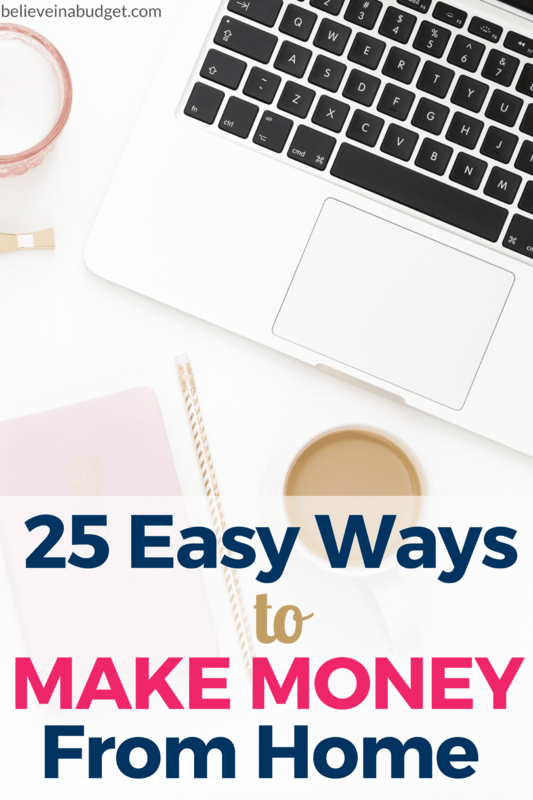 If your goal is to side hustle and earn extra income, I am sharing 25 easy ways to make money from home. I have tried most of these side hustles over the years, so I am excited to share these ideas with you. Many people do not think it is possible to work from home, but this is false! If you have a computer and internet, then you can succeed! Now is a great time to get started making extra money. The best part about all these side hustles is that you can get started today. This is one of my favorite ways to make money from home because I can take these while sitting on the couch 🙂 Over the years, I have made thousands of dollars taking surveys. Many of these surveys allow you to earn cash back that go into your PayPal account. You can also earn points for gift cards to places like Target, Walmart and Macy's. If you are a female between 45-60 and like clothes, you should join this FREE panel study! You get paid to give your opinion on clothes and fashion! Ibotta is a cell phone app that lets you earn cash back rebates from purchases you make at the grocery store, drug store and various shopping places. This is by far one of my favorite ways to make money and earn instant cash back. The money can quickly be transferred into your PayPal account. I also love this app because you can use it every single time you go to the grocery store or places like Target or Walmart. You just scan your receipt, see what items you purchased have a cash back offer, and then redeem the rebate. What I like best about this app is that many of the rebates aren’t brand specific. This means you can typically find a rebate that is for something generic like “$0.50 off any brand of milk” or “$0.75 off any brand of bread”. The savings add up fast! Join Ibotta and earn a $10 cash bonus! Receipt Hog is another cell phone app where you can earn cash back by scanning your receipts. You can use almost any receipt, such as from the grocery store, gas station, restaurants and more. This is another cell phone app where you can pick up quick, 5 to 10 minute mystery shops on your cell phone. Most of the shifts take place at the grocery store or drugstore. The shop involves using your cell phone to snap pictures of grocery aisles or a certain food product. You can make anywhere from $4 to $12 each shift you accept. Once you finish the shop, you get the money in your PayPal account within a couple days. If you are just getting started freelancing, this can be a quick way to get started making money. Most jobs pay $5 (hence the name), but you can add in extra options to drive up the cost. There are a lot of freelancers who make a living full time selling on Fiverr. If you shop from home, you might as well make money from it. You can make mad cash back every time you shop online with Ebates. Out of all the ways to side hustle, this is one of the best ways to make money because you don't actually have to do anything but shop online. Ebates will give you a $10 cash bonus when you sign up. I’ve earned hundreds of dollars back since I signed up with them a few years ago. The cash back adds up really fast. Join Ebates here! I went from making $40/month to over $4,000/month in the span of six months. That’s crazy! 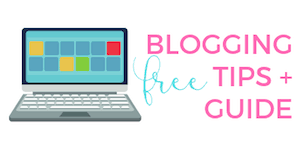 Here is a tutorial that walks you through how to start a blog. This is one of the best long term side hustles. Do you have a blog or website, but aren't sure how to make money from it? Making Sense of Affiliate Marketing will teach you learn how to make money online. The course creator earns over $50,000 a month in affiliate marketing, so you don't want to miss out on this course! Zazzle lets you create and design all your own products, and then sell them on your website or Zazzle’s website! You earn a commission of each sale and set your own rates. Here's a Zazzle tutorial to help you get started. If you love animals, you can offer pet sitting services per day or even overnight. Rates vary by city, but most pet sitters can make a minimum of $35 per day as a pet sitter. If you aren’t sure how to even get started on how to sell and ship things on Ebay, this tutorial will walk you through everything you need to know. This is a classic side hustle and still lucrative. Over the past couple of years, I have stayed at a handful of AirBnB’s and saved a ton of money. Have you ever thought about renting out your home for a weekend? You can learn more about how to use AirBnB here. You will also get a coupon for $30 off your first stay anywhere! This is becoming more and more popular as there are a ton of websites you can sign up with. I have made thousands of dollars as a mystery shopper. One of my favorite mystery shop companies is A Closer Look. Learn more here about how to work part time for a mystery shopping company. If you have good time management skills and are organized, this might be a lucrative part time job. Have you ever wanted to write your own book? You can sell your book on Amazon, Gumroad and other major online sites. Angela J. Ford is a published author who writes about the book process on her website. Check out her blog to get started! This is a lucrative side hustle as there is a ton of work available for freelancers and virtual assistants. You don't necessarily have to have experience in this field as many offer on the job training when you get hired. You can also start offering your own services and create a “Hire Me” page on your own website if you want to get hired. This side hustle is not one of the easiest ways to make money right away, but can be quite lucrative and turn into a part time job or full time job. Become a Pinterest VA TODAY! 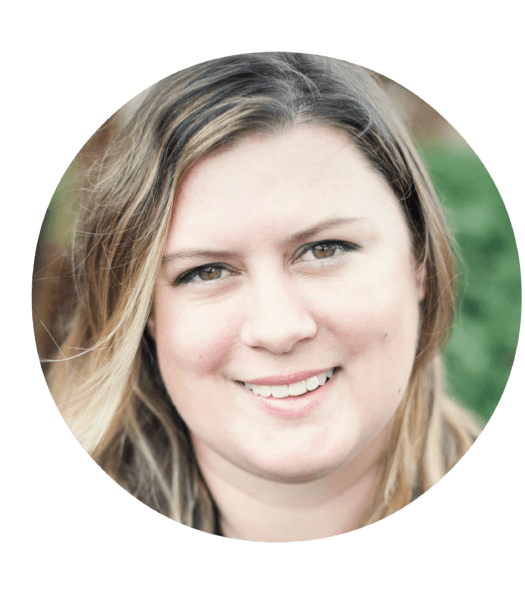 – This course is designed to help freelancers and VA’s (virtual assistants) get into Pinterest, one of the hottest niches for bloggers and businesses. As long as you are comfortable using Pinterest, this course is exactly what you need to grow your business! 30 Days or Less to Freelance Writing Success – You’ll learn how decide what to write about, how to gather writing samples, decide where to display your portfolio, blogging and email list strategies, how to construct a writing resume and how to develop your pitch and more! 30 Days or Less to Virtual Assistant Success – You'll learn how much to charge for your services, where to find clients, tools you need as a VA (virtual assistant), what types of services you can offer, training, templates and access to a private Facebook group. 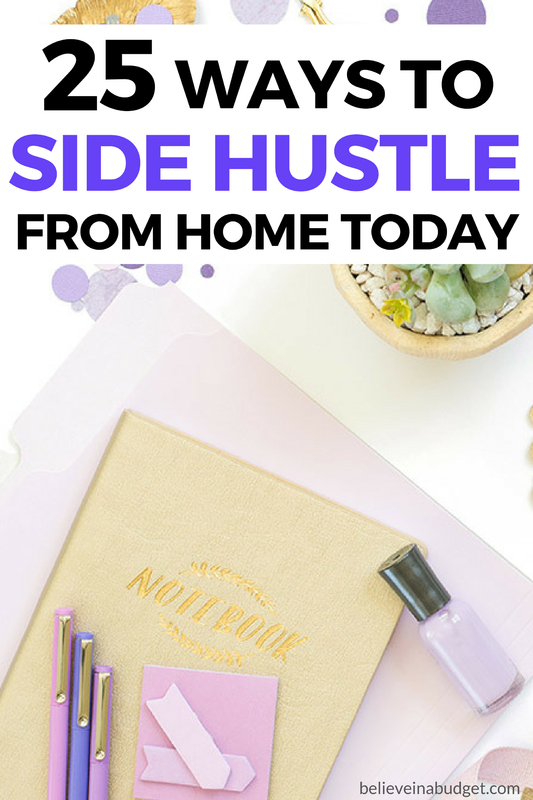 Do you side hustle from home? What's an easy way to make money for you? Kristin, is the creator behind Believe In A Budget. She teaches others how to start a blog and how to side hustle. 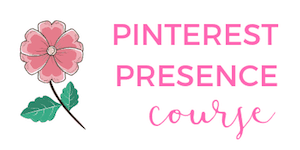 Her course, Pinterest Presence, helps bloggers + businesses drive traffic to increase their website's profitability. Some fab ways to make extra money here, it’s all about finding what works for you and fits in with your lifestyle. 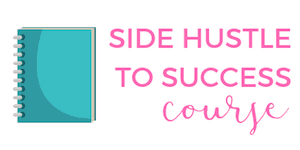 Thanks so much really for writing up this great blog post on making money through side hustles. Although starting a blog is not an easy way to make money, it pays off in the long run – you mentioned rightly that it is a long term side hustle. I found selling services on Fiverr to be an easy way to make some extra money. Freelancing sites like Upwork, peopleperhour and Freelancer are great places to make money easily if someone has a specific in-demand skill set. This could be writing, graphic designing, virtual assistance, programming, email marketing and so much more! Selling stuff on eBay could be a lucrative side hustle but it involves some work in the beginning. Writing content for clients via article writing job sites is one of the easiest ways to make money from home. Another option is to write articles or blog posts for website owners. You have great posts all over your site! Keep up the great work :-). Thanks again for this great blog post.